The team fought hard, using Dietz’s radical play-calling system, and defeated Brown on that rainy New Year’s Day, 14–0. 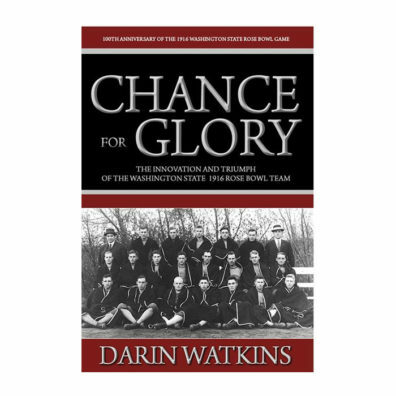 Murrow College alumnus Darin Watkins tells the compelling story leading up to that Rose Bowl contest, with its fascinating characters and high sports drama. But it was about more than football, he argues. 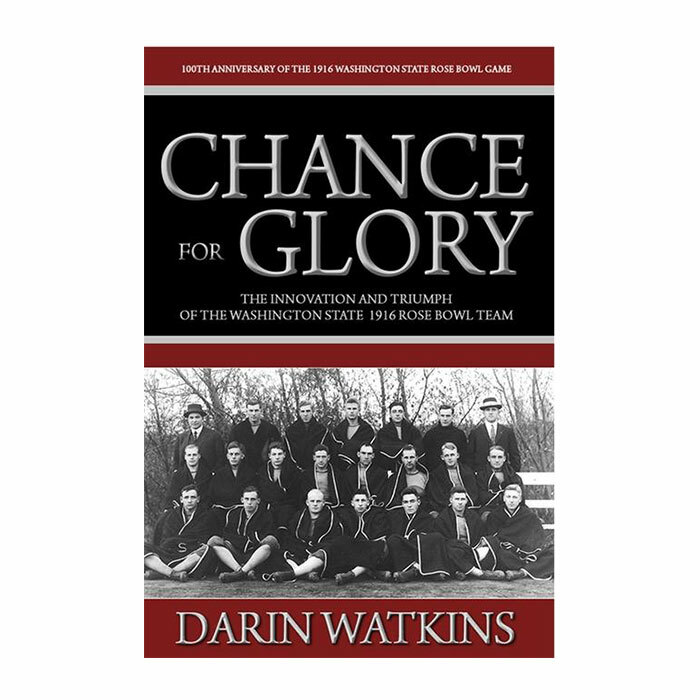 Watkins lays out the case for the football team’s success running parallel with efforts by the nascent college to gain more recognition from state lawmakers and step out from the shadow of the University of Washington. The college had expanded beyond its agricultural mission, and in 1915 faced a legislative investigation that could restrict WSC’s growth by preventing duplicate programs offered by UW. President Enoch Bryan saw the threat, writes Watkins, and knew the state’s media were more engaged with the WSC football program than legislative committees. So Bryan hired Dietz, who had studied under legendary coach “Pop” Warner. The 1915 season reversed the college’s football fortunes and brought positive attention to the school in Pullman. Read an excerpt from Chance for Glory.